Why not add your favorite wardrobe staple into your tabletop decor? This two-piece napkin set will add an element of surprise while still keeping things classic. To buy: $29; macys.com. The perfect pair of jeans can make you feel so great, and we think that's also true of a beautifully set table. So it makes total sense that we are loving Lucky Brand Jeans' new tabletop line. From chic denim napkins to wooden bowls, this collection arrived just in time for summer parties. Read on for a few of our favorite finds—and get some top picks at a discount here. 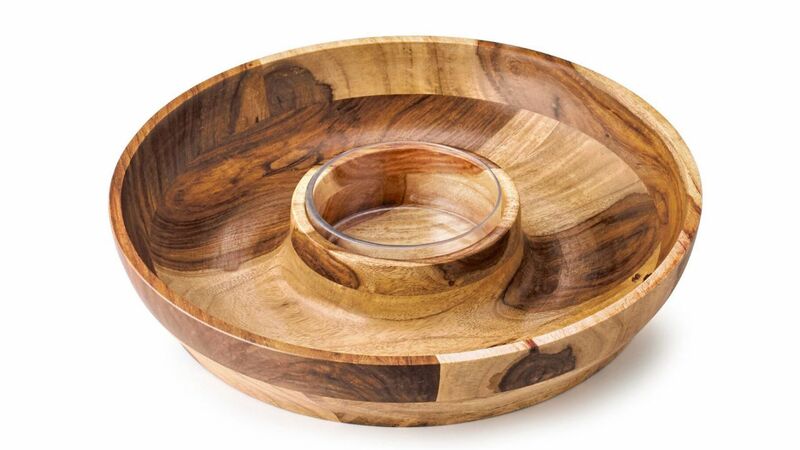 Give your plastic chip and dip bowl a chic upgrade with this rustic, wooden bowl that will hold enough snacks to keep everyone happy. 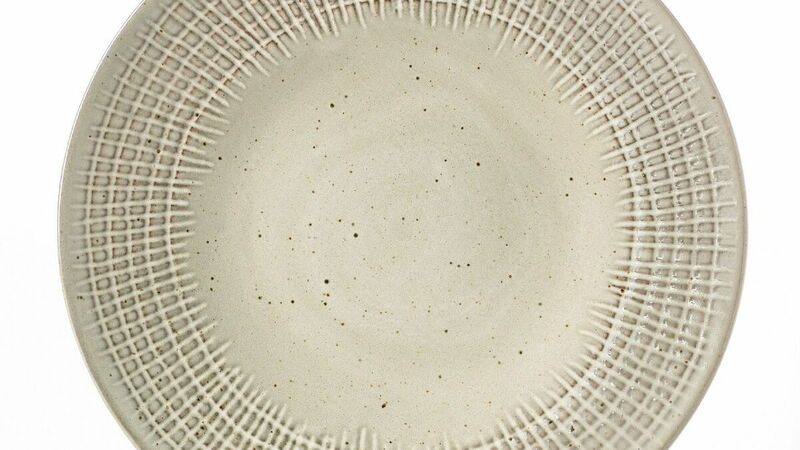 This gorgeous dinnerware will create a warm and earthy vibe in your dining area. Plus, it's microwave and dishwasher safe, so clean up is a breeze. Why not add your favorite wardrobe staple into your tabletop decor? 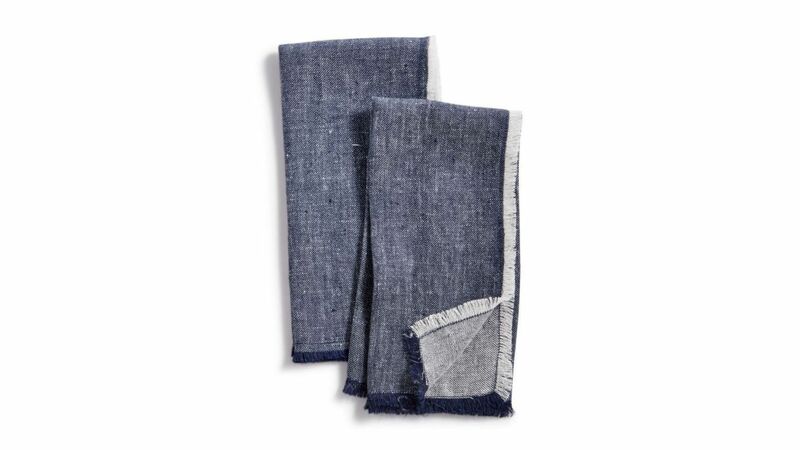 This two-piece napkin set will add an element of surprise while still keeping things classic. 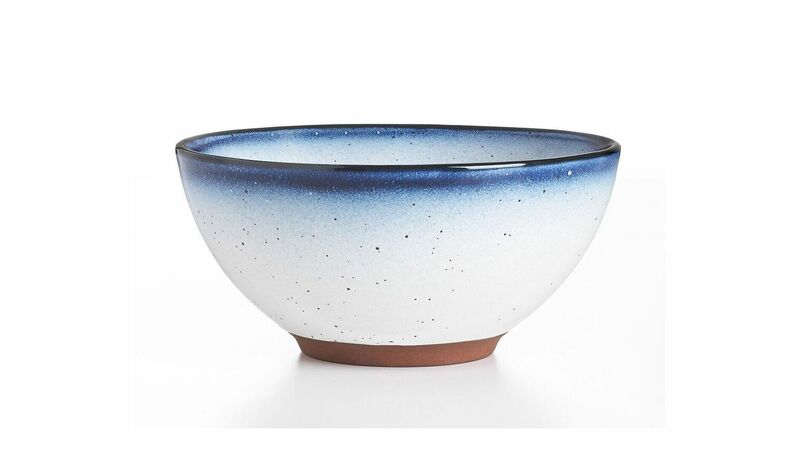 This beautiful bowl features a stunning indigo-edge rim that fades into a speckled design. From pasta to salads, this bowl can handle any meal that you're serving up.